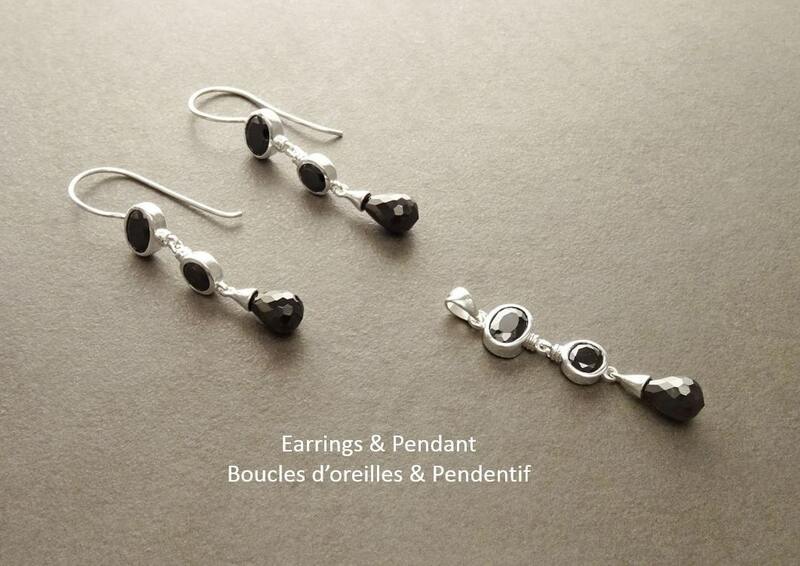 Modern and Chic in Design, this Sterling Silver Fixed Pendant is set with Black onyx Color Cubic Zirconias. 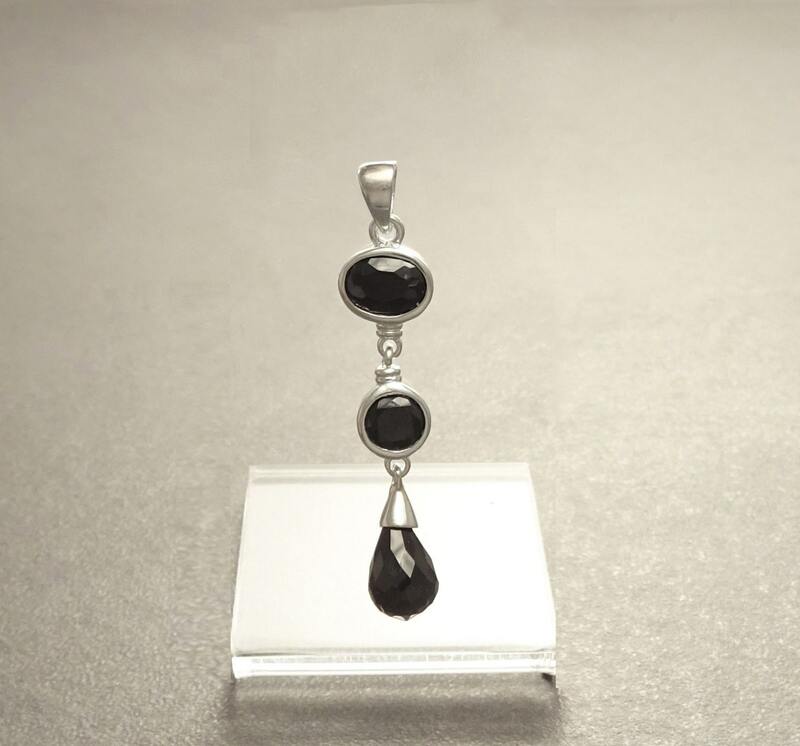 * Pendant can also be done with Red Garnet color Cubic Zirconias. 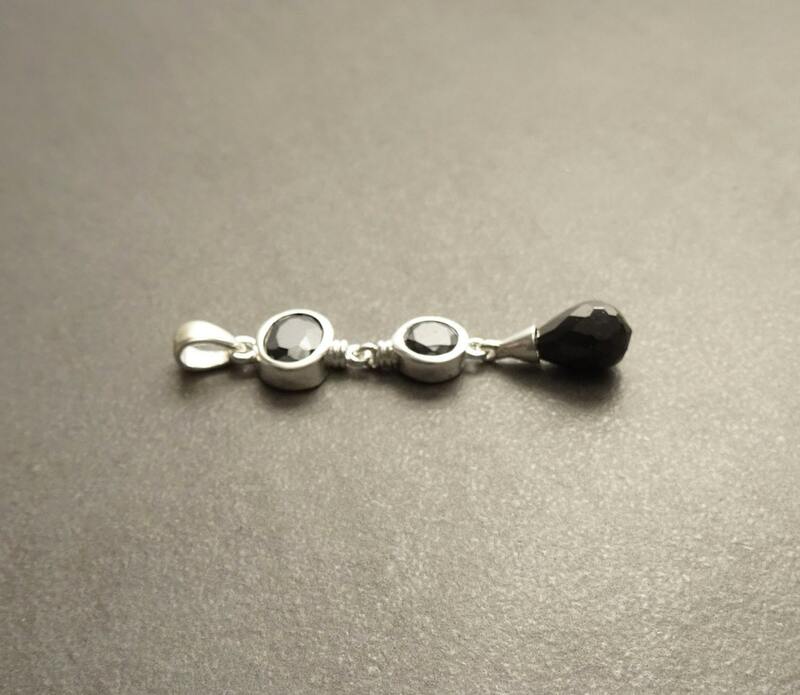 My wife loves this pendant.